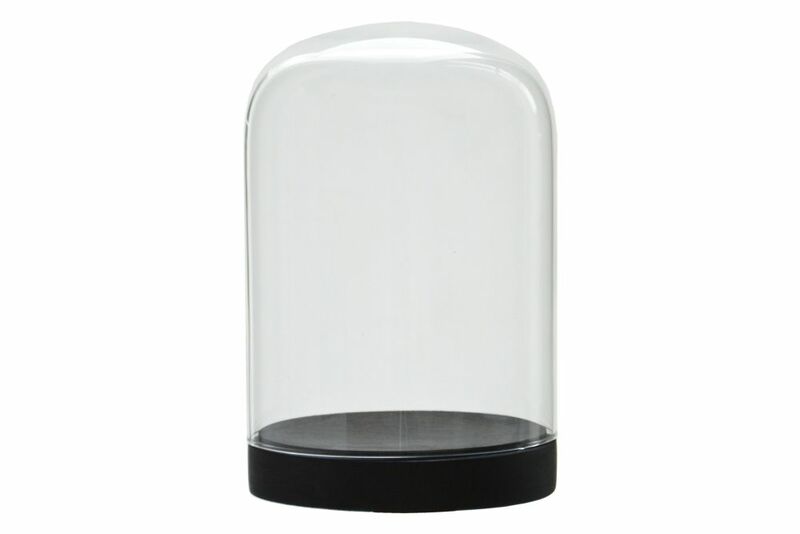 Pleasure domes are the perfect place for keeping and displaying treasures. Available in three sizes, with natural or matt black, raw beech wood bases, Pleasure domes are the perfect place for keeping and displaying treasures. Be it vintage designer toys, street market heirlooms or small desirable trinkets that would otherwise be lost. The domes are 'crystal clarity', mouth-blown soda glass to our design, the edge is flame cut and soft to the touch. Mouth blown glass domes may include some visible air bubbles. This is an intrinsic character of the glass and the handcrafted way they are produced. Bases are made from solid beech, precision turned individually by hand. The base lies flush with the dome top creating a contemporary appeal. Dimensions may vary slightly as the glass is mouth blown.